As we reported earlier, the CDC response to the Ebola outbreak in Western Africa has been to provide extra screening at five U.S. Airports: JFK International in New York, Newark Liberty, Washington Dulles, Chicago O’Hare and Atlanta Hartsfield. Between those five, CDC screeners claim they can screen more than 94 percent of inbound visitors from Western Africa. 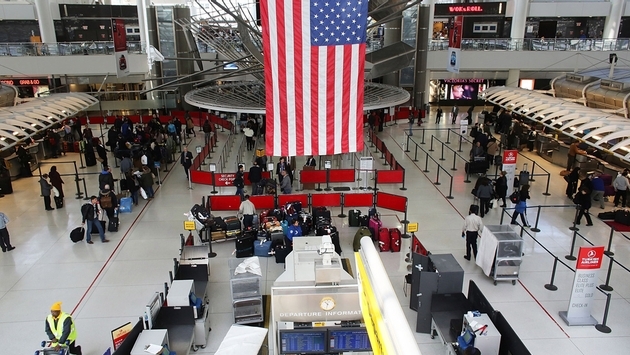 Today, JFK International became the first of those five to receive that extra screening. According to a report from CNN, the extra screening will be administered by Coast Guard corpsmen and contract medical personnel and will come in the form of a temperature reading and a series of questions.